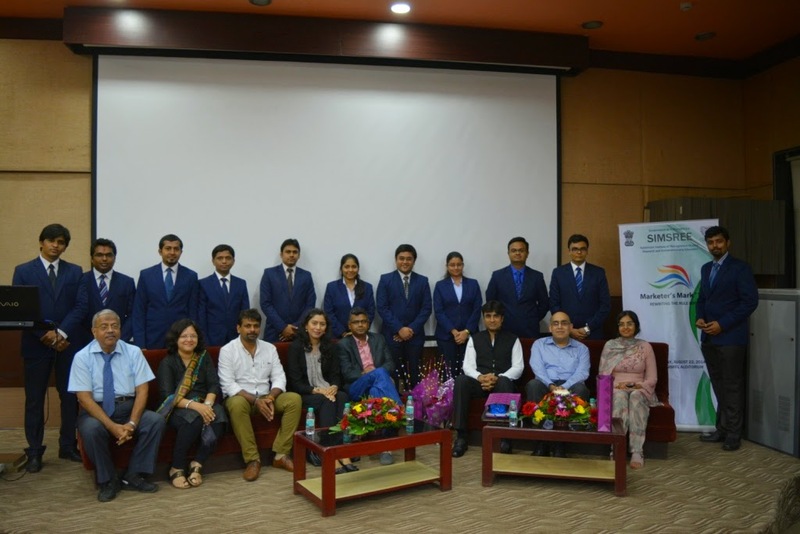 Students of Sydenham Institute of Management Studies, Research and Entrepreneurship Education (SIMSREE) belonging to the Corporate Relations Committee organised “Marketer’s Mark” for the first time ever on 22nd August, 2014. It brought together a few of the marketing world’s stalwarts with its theme being “Rewriting the Rulebook”. The guests included Ms. Deepali Naair (Chief Marketing Officer, Mahindra Holidays & Resort India Ltd.) as Keynote Speaker, Dr. Hemant Dande (President, Raptakos Brett & Co.) as Moderator, Ms. Anjali Patil (Director - Brand and Communications, BNP Paribas), Mr. Ajay Jethi (Chief Marketing Officer, Reliance Capital Asset Management), Mr. Sanjay Vakharia (Director - Marketing, Spykar Lifestyles Pvt. Ltd.), and Mr. Madan Mohapatra (Head - Media & Marketing, Future Group). The students were introduced to many new marketing concepts like micro segmentation, need for reshaping the customer demand and the importance of personalization amongst many others. Apart from these, through the discussions of the panellists, greater emphasis was laid on adaptability and pace of the current world. The esteemed panellists mutually agreed that everything is evolving continuously as the consumer is changing, becoming more confident and technology dependent. As a result, companies have to innovate to include digital mediums and follow innovative marketing campaigns in order to capture the ever decreasing attention spans of the consumer. The importance and need for context in marketing was reiterated throughout the conclave focussing on the changing needs, wants and demands of the consumer. Marketing cannot be considered in isolation and must be done with the right context to succeed. All the guests were very enthusiastic in sharing their experiences and answering all the students’ questions in detail. 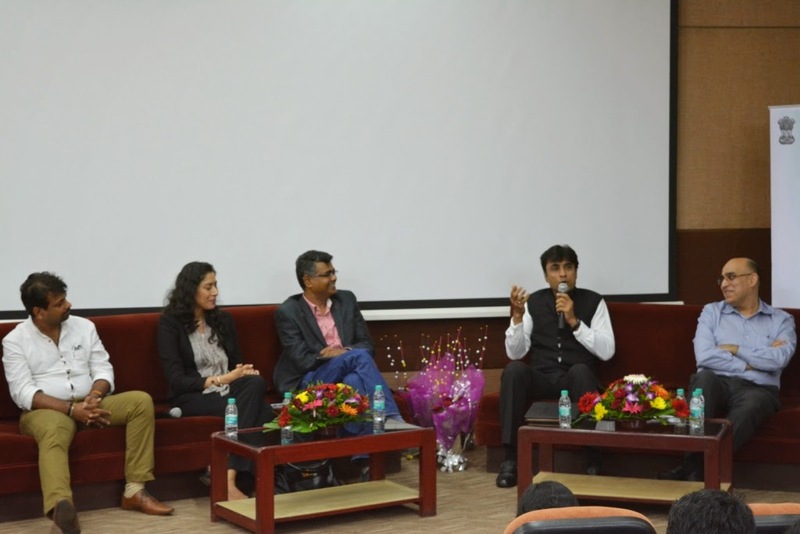 Through these discussions, the students gained immense knowledge into the workings of current marketing world, its evolving nature and the latest trends which they would be otherwise hard pressed to find in any textbook, magazine or newspaper in such a lucid manner. This shows the very successful start to Marketer’s Mark becoming an annual event at SIMSREE. An extra-ordinary session on new ways of marketing by eminent corporates. The part about the importance of "context" while marketing will be etched in our memories for a long time.